Hi Liam, I really enjoy your posts and value you advice. I most definitely will book an appointment with you during the 2018 tax year as I need clearer strategies. But I have an immediate question re Bitcoin which I’d set up in my smsf through an exchange in nth Syd called Independent Reserve. My coins and cash to buy more are are currently with Independent Reserve and not in a personal wallet. My question is 2 fold. Given the complexity of how coins are to be valued as at June 30 is it simpler from a tax persepective for me to just sell all the coins today and liquidate? If I do I’ll realise a loss of about $17,000. (100k invested now worth $83k as of now). Crypto sphere looks very bearish so a good reason to sell before it drops further, but I’m more interested to know your thoughts on the difficulty of proving smsf ownership and value at close of business on 30th June. 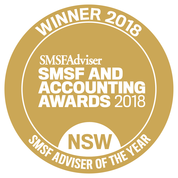 While I can’t advise onBitcoin I can suggest that for your SMSF audit just give Independent Reserve a Call and ask them to confirm they can provide a 30 June statement confirming the holdings of you SMSF. Most Aussie exchanges have a process in place. 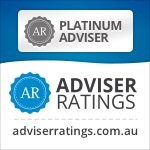 If they don”t then you may have trouble proving they are owned by the SMSF and kept separate from your personal investments. So contact the exchange first and then decide what to do.